Is bone broth the next big thing? If you’re always on the lookout for the ‘next big thing’ than sit up and take notice. Emily Scaife reports on the bone broth craze. The concept of ‘clean eating’ was unheard of a few years ago, but in recent months many farming businesses have benefitted from the upsurge in people choosing to embrace a healthier lifestyle. Spinach and kale have both seen sales skyrocket because of the trend towards juicing and ingredients such as quinoa and chia seeds would have been unheard of a few years ago. But where does meat fit into the picture? The negative stories in the press about red meat in particular means animal products don’t appear to sit naturally in this trend. But this might be about to change. Historically, bone broth was used to nurture the sick. But its use goes right back to the prehistoric era, when cavemen would throw remnants of a meal into a pot and leave it until it had created something edible. 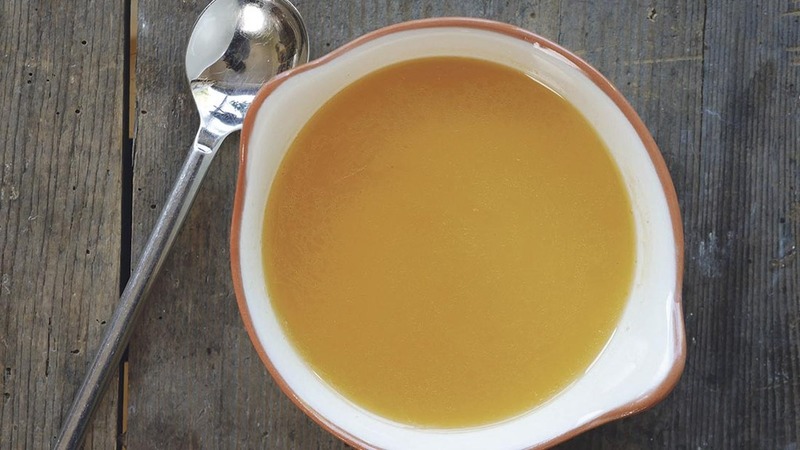 Packed with vitamins, minerals, collagen and keratin, bone broth is particularly recommended for people suffering from stomach problems, but it has been used across cultures for centuries as a cure-all elixir. A cheap way of creating a nutritious meal using scraps, broth could have been a victim of a culture which thinks nothing of throwing away food. However, thanks to the clean-eating movement, bone broth has now gone mainstream. Pret A Manger kept a close eye on the bone broth trend last year before turning their hand to creating their own version. It was trialled in 28 locations in London for six weeks earlier this year and the chain says it was pleased with its uptake. Bone broth is an age-old dish, said to offer a wealth of curative benefits and full of healthy protein, making it popular with athletes. ‘Clean eating’ as a concept was unheard of a few years ago, but in recent months many farming businesses have benefitted from the upsurge in people choosing to embrace a healthier lifestyle. ‘Protein’ is the latest buzzword in healthy eating marketing and this is exactly what bone broth is billed as – a post-gym protein hit, capitalising on the number of exercise-fans keen to search out the next big thing. 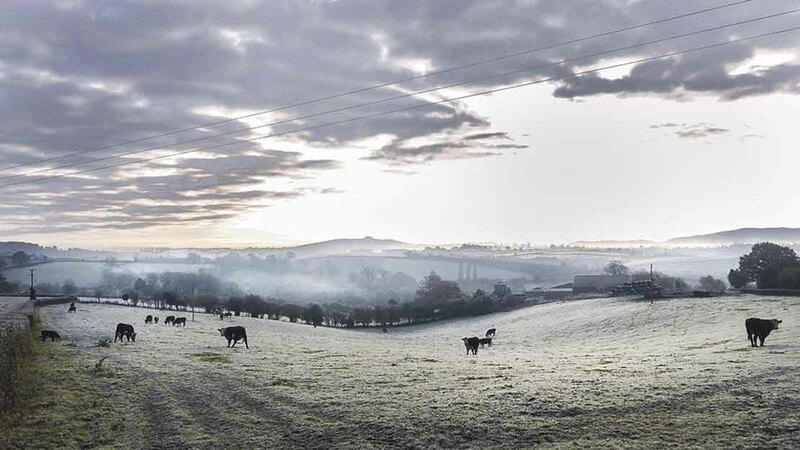 But farmers and rural businesses are also realising this is something they can easily capitalise on.Daylesford Farm, the Cotswolds, has launched two broth products, chicken with vegetable, and beef bone with pastured brisket and pearl barley. They realised bones are used for little else in the Daylesford environment, and as such it was an effective use of something which would otherwise have gone to waste. And it has proven incredibly popular – Daylesford produces 10,000 packs of its ‘real meal’ range every week, and the organic chicken and vegetable bone broth accounts for a huge 33 per week of this figure, totalling 3,500 packs a week. One business which predicted the trend before it took off was Osius, based on a smallholding in Herefordshire. Extolling the health of virtues of broth, it focuses on the medicinal values of the product and are keen to communicate the difference it can make to peoples’ lives. 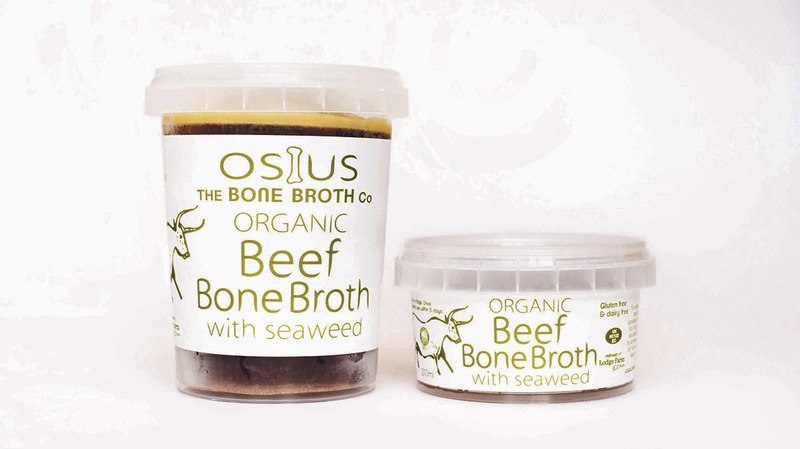 Louisa Stout, who set up Osius with her husband John in 2014, says: “There is nothing new about bone broth. Louisa was given the idea for producing bone broth by her neighbour, a farmer based 200 yards from her front door. He supplied meat directly to a nutritionist based in Hereford who was treating an eight-year-old boy with severe stomach problems. “The nutritionist told the boy’s mother he really needed to be on a daily diet of bone broth,” Louisa says. Louisa spent three months researching bone broth and realised quite quickly there was no one else selling it commercially at the time. “Because we were going to be the first people on the market and we were confident it would grow in popularity, we decided it would be best for us to set the standard, so we knew no-one could come in and be better than us later on,” she says. “This is when we decided it needed to be a fully organic product and 100 per cent pasture-fed – there are few farms which can provide both things. Louisa spent three months perfecting the recipe, consulting a company selling broth in New York called Brodo, who are credited with kick-starting the craze. “A lot of people take bone broth for medicinal reasons, but we also wanted it to taste nice,” Louisa explains. She says they roast the bones before adding vegetables, herbs and apple cider vinegar, which is important as it extracts all the nutrients from the bones. Nutritionist Stephanie Moore says ready-prepared bone broth is a fantastic addition to the market. “Few patients are willing to source high-quality bones to boil up for 48 hours, so it fantastic to finally have a commercial bone stock from organic, grass-fed animals,” she says. Louisa says it is not something many people can, or want to, produce themselves, so it’s a great opportunity for producers. “No-one can really leave something on to cook for 48 hours at home. The broth is supplied to Whole Foods, Planet Organic and Eversfield and Osius also sell it through their website. Stock, broth or bone broth? Bone broth: Unsurprisingly, made with bones. There may be a small amount of meat on them, but generally they are clean. The slow, long cooking time extracts the gelatine from the collagen-rich joints and also releases minerals from the bones. At the end of the cooking period, the bones look like porcelain – clean, white and very light. ‘Osius’ is the latin name for ‘bone broth’. Bone broth is the only natural source of collagen, which is vital for the body as it helps your gut repair. Louisa says although a lot of people take it purely for a healthy lifestyle, it is also used for specific reasons, to great effect. “Body builders take it and a lot of gyms plan to stock it so people can take it before and after a workout,” she says. Nutritionist Stephanie Moore says: “Top athletes use bone broth as a means to speed recovery from physical exertion as the nutrients so readily heal soft tissue. There are also people who are taking it for specific health reasons, such as irritable bowel syndrome or leaky gut, or people on specific diets, such as gluten-free, lactose-free or the paleo diet. “It gives us a lot of satisfaction knowing people are benefiting from it,” Louisa adds.